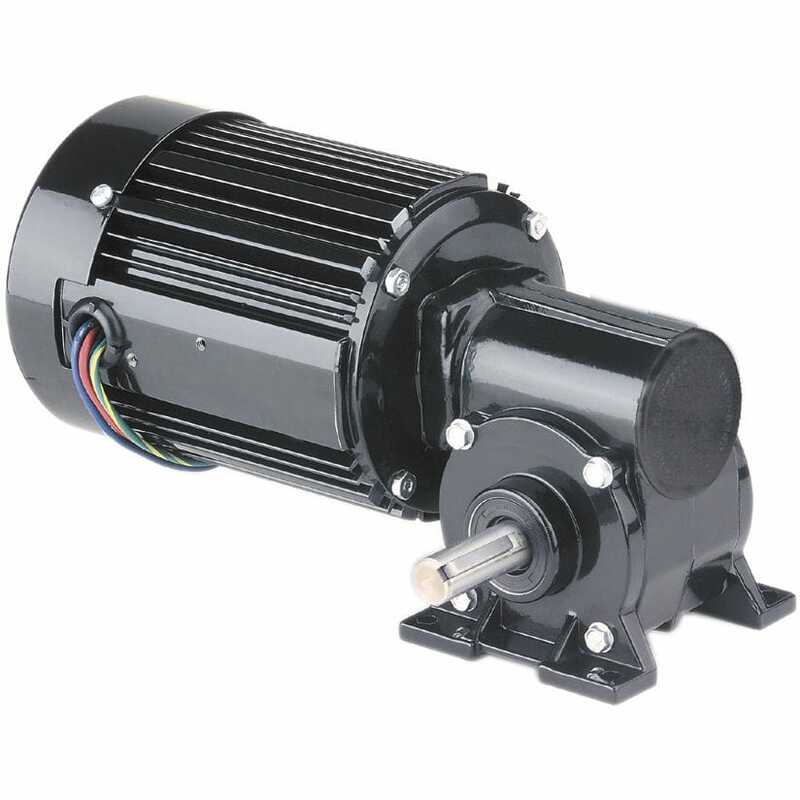 The 42R-5N Series AC Right Angle Gearmotor is fully enclosed according to IP20 protection standard and features fan cooling, for added output power. The Class "B" insulation system, with Class "A" limits operation, provides prolonged winding and lubricant life. This model also features center ring and endshields in aluminum, for added thermal efficiency and lower weight, unvented gearhousing, industrial lip seals on both motor and output shafts and needle bearings throughout, providing increased radial load capacity and longevity. Additionally, it is perma-lubricated, and equipped with bronze worm gear offering high shock load capability, hardened and ground worm gear for sturdiness and durability and features 4 feet mounting (located on the gearhead). Note, that the capacitor is not included in the offer and has to be ordered together with the motor.